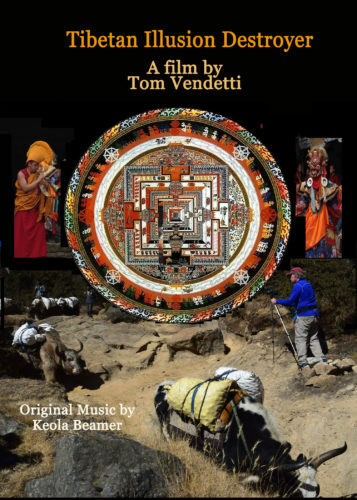 Join us for the screening of Emmy award-winning filmmaker, Tom Vendetti’s “Tibetan Illusion Destroyer” in 3D. Filmed in Tibet and Nepal over two years, the film documents an ancient Tibetan ceremony that creates awareness of the illusions that cause human suffering. The festival originated in Tibet and is still performed in an authentic colorful ceremony in the shadow of Mount Everest. This film allows the viewer to experience a rare and sacred ceremony in the Himalaya Mountains with a path towards achieving happiness. Tom Vendetti is a psychologist and veteran documentary filmmaker and this was his first 3D film. Presentation: Tom will discuss the making of the movie and the specialized editing that is involved shooting a film in 3D. He will be available for Q & A after the screening.